Against the odds, three generations of a local family are celebrated a birthday on Sunday. Janis O’Farrell of Walnut Hill, born in 1935, turned 84. Her son Dennis O’Farrell of Walnut Hill, born in 1959, turned 60. 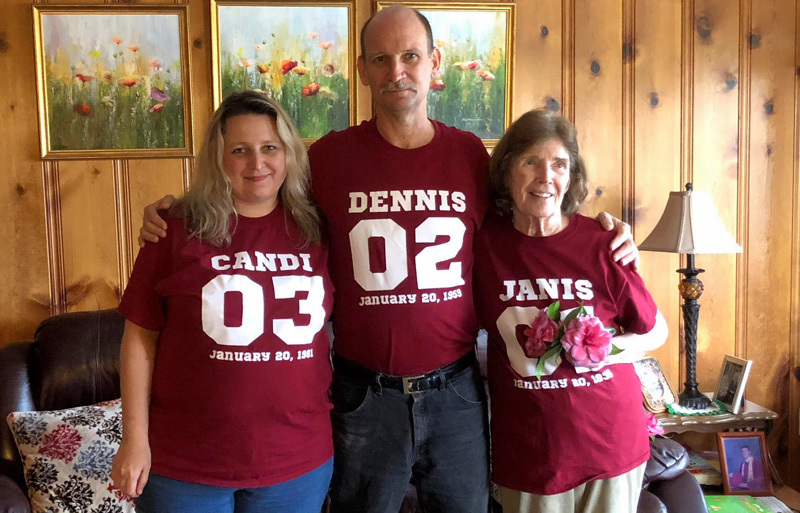 His daughter Candi O’Farrell Lusk of nearby Perdido, AL, was born in 1981 and turned 38 Sunday. What are the odds? 1 in 133,225, according to published reports. My Grandmother was born January 17,1941… Twenty one(21) years later on January 17, 1962, my aunt Kim was born. And then exactly twenty one (21) years later after my aunt Kim , on January 17, 1983 I was born. My dad was born October 27th, 1933. My brother October 27th, 1970, and one niece October 27th of 1987 and another niece October 27th of 1991. That is awesome! Happy birthday to all. My dad and I share the same birthday and his father is only a few days before ours, that would have been very special to share a birthday with my grandfather as well. I have a sister born March 21st her son and a grandson born the same day. Her grandson is her daughter’s son. 3 on the same day.